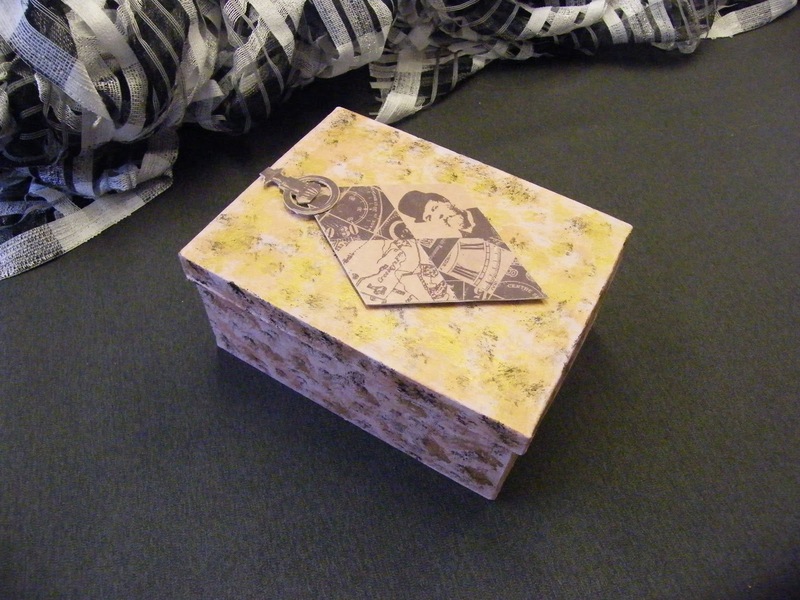 The box has been painted however the decoration on the top is from the 12x12 paper. 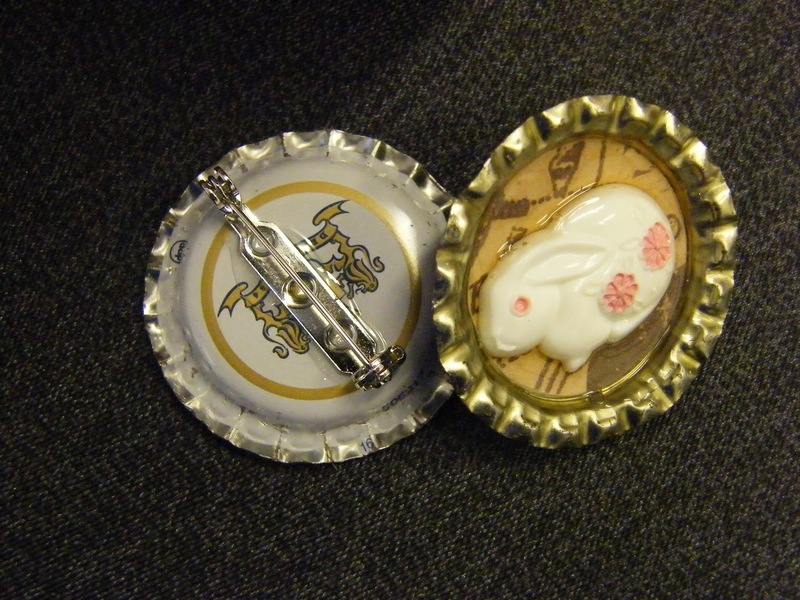 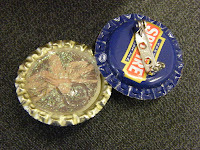 A very clever idea of flattening any bottle tops through the Cuttlebug and decorating. 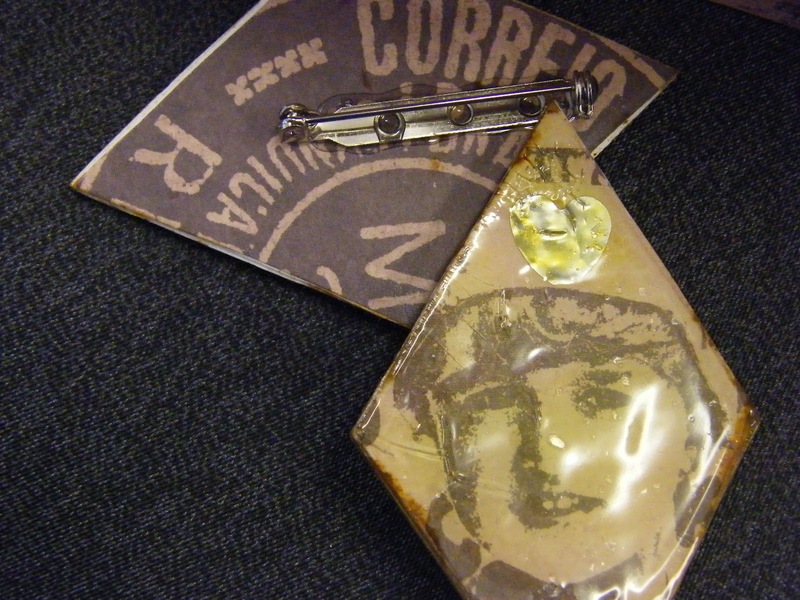 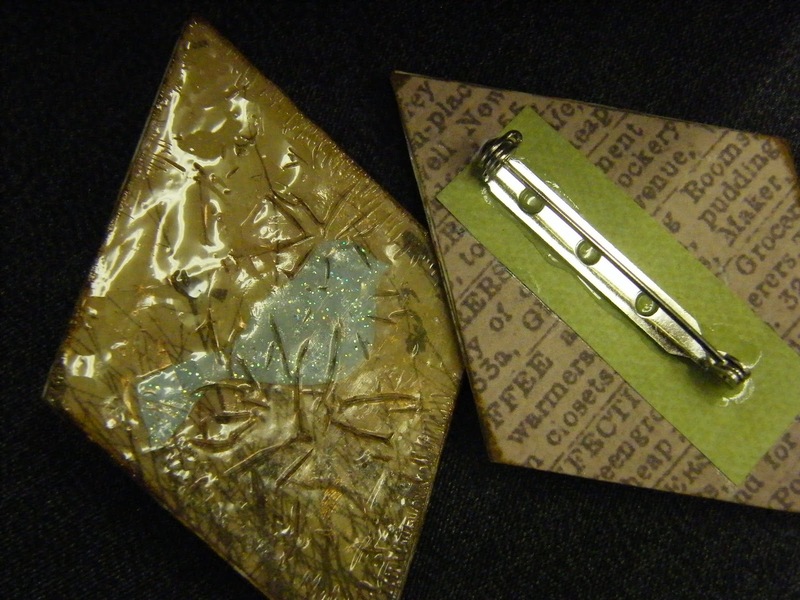 Anne has made brooches from hers but you could use them as embellishments on cards. 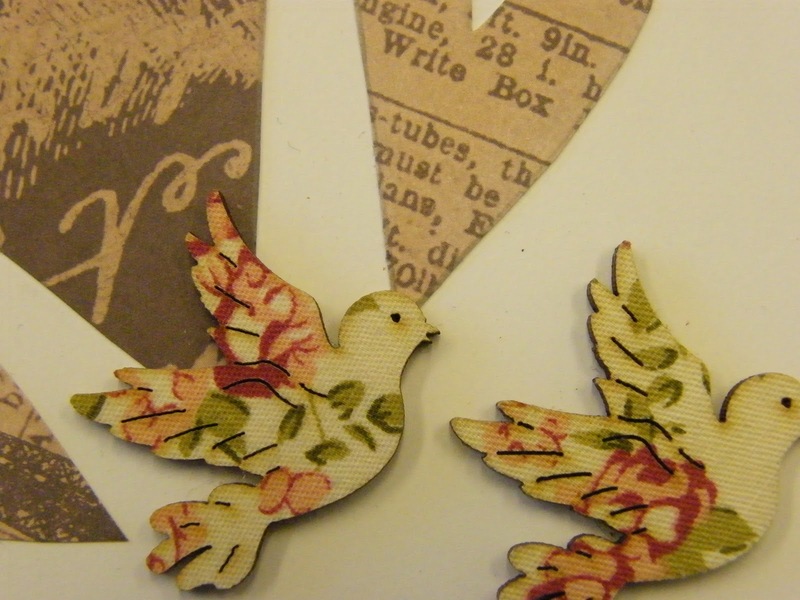 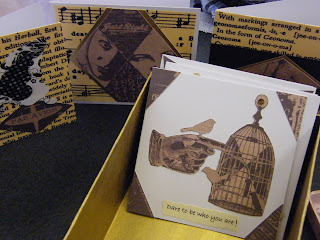 A selection of cards from the box that have also been made with elements of the 12 x 12 paper and finally a picture of the sweetest fabric covered birds...are they not lovely?